3,4 BHK ApartmentStarts From 1.55 Crs. 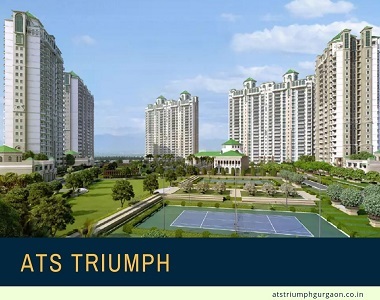 ATS Triumph: Dream Luxury Homes for a Great Living Experience! 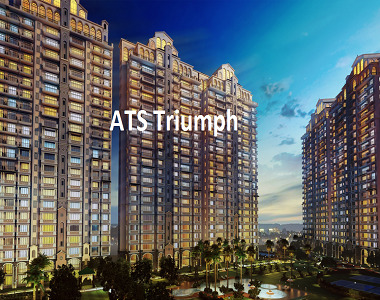 ATS Triumph Gurgaon is giving you an awe-inspiring experience of living in luxury homes in Gurgaon. The great designs are truly inspired by great architects and their philosophy that gives profuse details to all homes in the building. With the minute details, the designs can easily attract those who want to live in a space that defines their personality. Enormous attention is given while building these homes. Each of them is integrated with gorgeous wooden flooring, imported marbles, air-conditioning system and modular furniture that really defines the gratification. A high living standard happens when luxury and comfort go hand-in-hand. A satellite city of Delhi, Gurgaon is situated in Haryana and exemplifies the living standards. It is also known as the biggest IT and financial hub becoming the most popular cities in the country. ATS proudly introduces one of its residential projects in sector 104 Gurgaon at reasonable prices. 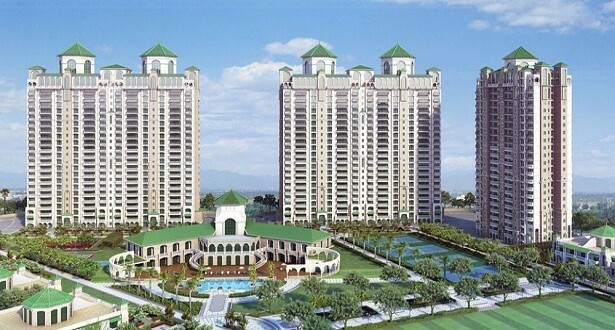 The project is spread in an area of about 12 acres having earthquake-resistant towers. You can take the access of 3BHK and 4BHK homes that is a beautiful place to move in. Every single day, the popularity of these apartments are enhancing progressively. 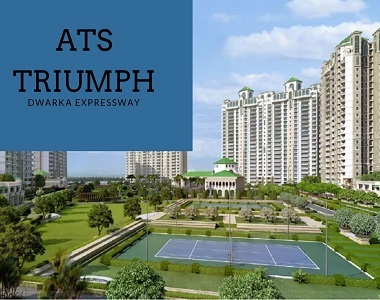 Now, buying property in Gurgaon is possible with ATS Triumph. The residential development shows magnificent external and internal amenities. The best thing is that each apartment is accommodated with cutting-edge technology displaying perfect integration of all kinds of electronic equipment. Candidly, ATS Triumph Dwarka Expressway has become the dream home of the modern population who believe in living with style. With your slight touch, you can easily control the things in a room. Get property in Gurgaon if you are looking for comfort and lavishness with triumph. You will be served with all kinds of privilege round-the-clock and security also remains the main concern. If you are in hunt of a calm place where you can find comfort and peace of mind, ATS Triumph is the best place to go. The unparalleled services given by us are featured by modular designs; great flooring, granite counters, and other features beautifully describe the modular house. Kill your boring time by spending the time while playing different games and making a good friendship with others. Meditation center is a place where you can welcome the peace of your mind and make your body exhaust-free while doing meditation. There are many other places like kids’ play area, sports facility, cafeteria, gym, swimming pool, cafeteria, rainwater harvesting, earthquake-resistant structures, good Wi-Fi connectivity, and other facilities. 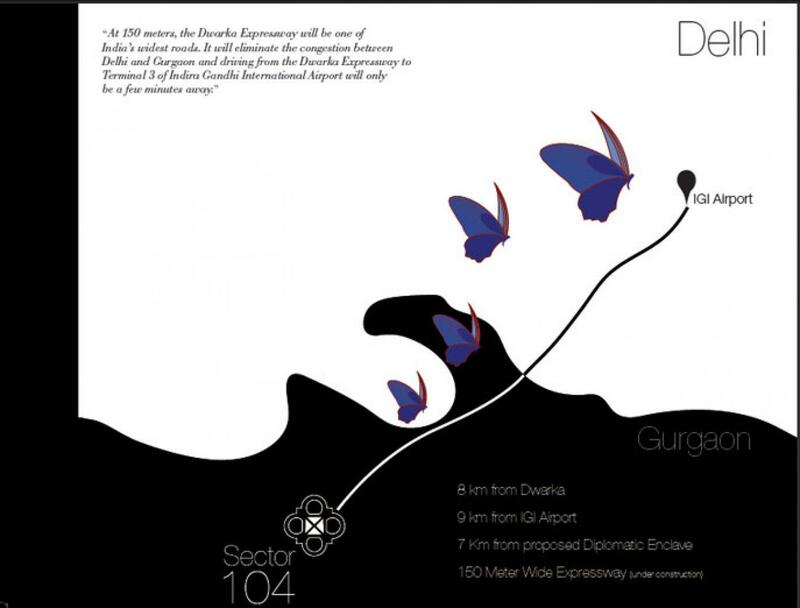 Located in Sector 104 Gurgaon, ATS Triumph Gurgaon Sector 104 is positioned at Dwarka Expressway. It is hardly a few kilometers away from other residential addresses and hardly 9 kilometers away from Indira Gandhi International Airport. Dwarka Expressway is noted to be the widest roads that are acknowledged for avoiding any kind of congestion of traffic in Delhi and Gurgaon. The driving is surely smooth where you will love to drive and reach your home on time without getting exhausted.